Regardless of mortgage, tax and insurance obligations requiring your holiday home to be occupied by different guests throughout the year, you want your beloved holiday home in the Lake District to earn its keep. Therefore, it has to attract and welcome holidaymakers and return visitors. Tourism in the UK is riding a high. VisitBritain revealed that this April the UK welcomed 19% more holidaymakers from overseas than in April 2016. In fact, with over 3.7m visits to the UK in April 2017, this has been the busiest month on record. And latest booking figures from ForwardKeys shows this trend is set to continue for the summer, revealing bookings from international arrivals to the UK are currently 12% higher than summer 2016. So there are holidaymakers out there – couples wanting to book a romantic getaway or tranquil retreat, families looking for outdoor space to let off some steam and outdoor enthusiasts who know and love the Lake District and want to try somewhere new. But how do you rent your holiday house in the Lake District out? We’ve been in this game for over 40 years and would love to share some ‘golden’ advice with you. Does your property have designer fixtures and fittings, a hot tub and games room perhaps? Then, clearly you need to make sure you target all of your offering to attract luxury clients. Don’t have these? Then think about the value of a games room in the loft over a small attic room. A garage or shed that could house a cinema room. Every room and each corner of space must earn its keep. Turn dead spaces into useful areas by adding a window seat to a hallway and shelving to landings to create ‘libraries’, for example. Elevate an ordinary bathroom to luxury heights with a standalone statement tub or move the tub to the bedroom for a more romantic appeal. The Cottage At Hill Top – former home of Swallows and Amazons author Arthur Ransome. This impressive 16th Century converted holiday home has its very own ‘Pavilion’ games room, complete with snooker table, table tennis, kitchen and outdoor verandah. Goody Raise – an impressive detached holiday house and gardens has an equally impressive hot tub, sat beautifully within its slate terraced garden illuminated with evening lights , where you can soak up the company of the famous ‘Lion and Lamb’ summit, otherwise known as Helm Crag. Le Chalet – With lots of lounging furniture, mood lighting and an impressive TV, you can quite easily create a media or cinema room, such as the football-loving cinema room at Le Chalet. Also, consider welcome hampers and inclusive leisure club passes as well as at-home spas, all of which are a major draw today for many choosing a UK holiday cottage. If you have a spacious property, couple of living rooms, large dining space, en-suites and several bathrooms, then perhaps position your accommodation as family friendly – provide high chairs, cots, a basket of books, selection of board games, pencils and DVDs for rainy days and have ornaments placed high up! Become your customer. This way you’ll notice the drafty living room window and perhaps move the sofa or add a cosy throw. Get friends to stay at your home too, to test it to its full potential and find any pitfalls you may have missed – appliances that are too complicated or spare beds that are not really that comfortable. And consider flexible options for your property, such as flexible zip and link beds, offering two single beds or generous double, and a double duvet cover for single beds. Imagine how your home will be used and don’t be afraid to seek interior design expertise to make the very most out of your property. Your guests may have an additional two legs plus a happy, wagging tail. Yes, consider the four-legged market also. A survey from 2016 showed that 1.4m UK holidaymakers choose to share their getaway with their four-legged, furry companions. Making your property pet friendly widens your customer reach. This is especially the case in the Lake District, which is a particularly popular holiday destination for dog walking families. Leaving details in your holiday home about dog friendly walks, pubs and attractions, of which the Lakes has lots, is a great idea if you’re planning on offering dog friendly accommodation. Private and secure gardens, quiet locations, lots of dog friendly attractions and walks from the doorstep are also favoured features of travellers with pets. Go a step further and welcome the family’s four-legged friend by supplying a dog bed or towel, a spare lead, bowls, some doggy treats and those all important poop bags. Have a look at our Dog Friendly Cottages for more information on pet friendly attractions in the Lake District and our accommodation that welcomes one or two pets. There is no better place to get to know local customs and nuances than the local pub. Plus, it is a must for many holidaymakers and so it is good to find your pub of choice that you can recommend to travel-weary visitors. Be it a chic town centre bar in Ambleside, or a traditional local ale house in Coniston, your neighbouring drinking hole is also a great place to spend some time planning your holiday home venture. Plus, this has the added benefit of putting you and your holiday house on the map for the landlords and local staff to hopefully reciprocate the custom that your business will bring them. 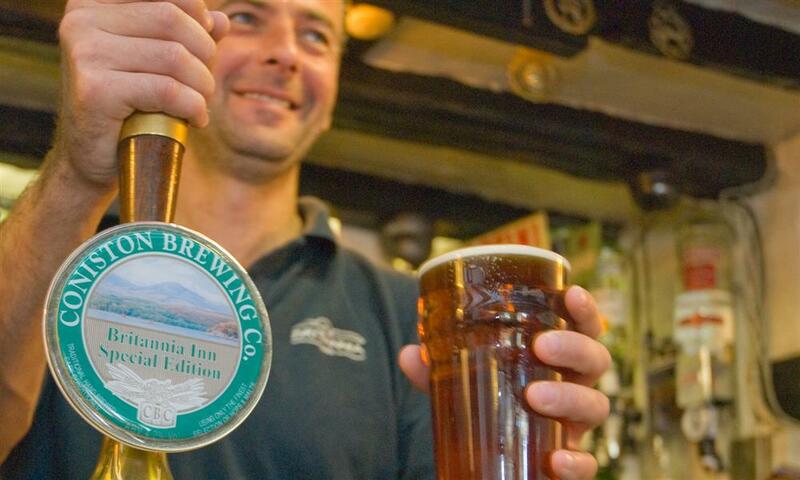 Find out about quiz or live music events as well as food options, including take-away, which many offer and will appeal to holidaymakers who may not be used to the quieter pace of the Lake District. The Lake District’s unique history, so well preserved in many of the buildings and traditional rural way of life that continues today as it has done for many hundreds of years, is what draws many visitors to return time and again to this region. So, whilst our experience finds it is important to put your own unique take on your property, don’t forget to showcase the charm of the Lake District. This can be hanging artwork from local artists or stunning Lake District landscape photography. The Herdwick sheep has become somewhat of a mascot for the Lake District, and there are lots of distinguished home furnishing products that are inspired by the hardy, cheeky looking fell grazer. Have a look at Lakeland in Windermere for some superb kitchen utensil and accessory ideas. In fact, the high streets of the major Lakeland towns of Ambleside, Bowness, Keswick and Kendal are superb places to inspire your Cumbrian holiday home. You just need to make sure that all fixtures and fittings comply with safety regulations. If you’re lucky enough to have traditional period features in your property, make a focus of them. Clean up and expose internal wooden beams, brickwork and original doorways, for example. Walls and floors should be fairly neutral. Farrow and Ball offer a well researched range of period interior and exterior paint colours and both Laura Ashley and John Lewis furnishings offer the quality and class associated with upmarket hotels. Dressing your holiday home is where you can have some fun. Whilst the walls and floor should remain pleasing to all, you can show some personality with soft furnishings, rugs, cushions, curtains and bedding. You can choose versatile and flexible furniture also – indoor furniture that can be brought out (i.e not antique), modular sofas and lighting for various occasions, from mood lighting to practical illumination and don’t forget garden lighting. Investing in your garden, including BBQs and pizza ovens, as well as lighting, gives your guests another room, or even series of rooms deepening on how much outdoor space you have. For modern renovations, use local materials such as slate, sandstone, limestone and granite. Your holiday home is ready for the ‘staged’ photographs, with cafetiere, croissants and glossies ready. Cushions are plumped and linen pulled tight. But, a well-functioning property is a must. From biomass boilers to iPad controlled heating systems, however the utilities and guts of your property are controlled, they must function well. Don’t overload your property with gadgets and new-fangled wizardry that its fuse box or drainage system simply can not cope with. Whilst holiday letting agencies, such as Lakelovers, provide your guests with a 24 hour call-out service, this is not a service that customers want to have to use. Therefore, it’s important that you provide simple, foolproof instructions on how to use potentially complicated TVs, ovens etc to avoid unnecessary call outs. Lighting is something that should not be overlooked, however. Good lighting can maximise the potential of your property, opening up otherwise unused spaces. Outside lighting opens up garden space as extended evening relaxing areas and mood lighting upstairs, in bedroom and bathroom suites is a superb way to turn these rooms into relaxing spaces. Smart TVs in upstairs rooms is also becoming a self-catering must! And, think about providing a docking station or bluetooth speaker compatible with today’s smartphones – guests can then simply plug in and play the soundtrack to their holiday. Cheeky as it may sound, but stay in a rental in the area that your property is in. This way you can really experience what a self-catering holiday customer is looking for, plus you can often get some great ideas! Some of the best inspiration can come from staying in really good or more often than not, poor accommodation where your needs were far from met. Researching competition in your area also helps with working out your property pricing. Don’t take our word for it. Seek star rating from VisitEngland, who provide kudos and credibility to all of your hard work. The VisitEngland star rating is more than just a badge, which does provide superb marketing, but it also gives guests reassurance that you as a landlord can not rest on your laurels because annually your property will undergo a quality assessment to keep its self-catering star rating. For Lakelovers properties, all of which are VisitEngland 3-5 star rated, this means inclusive bed linen and towels and the highest quality in fixtures, fittings and provisions. Working with VisitEngland to certify the quality of your accommodation is a great process as they really help you to achieve the full potential of your beautiful holiday home. There are other awards that you can work towards too, such as their Green Tourism accreditation, which also gives you exclusive access to sustainable suppliers. We’d love to hear from you if you’d like more information on how to rent your holiday house out. 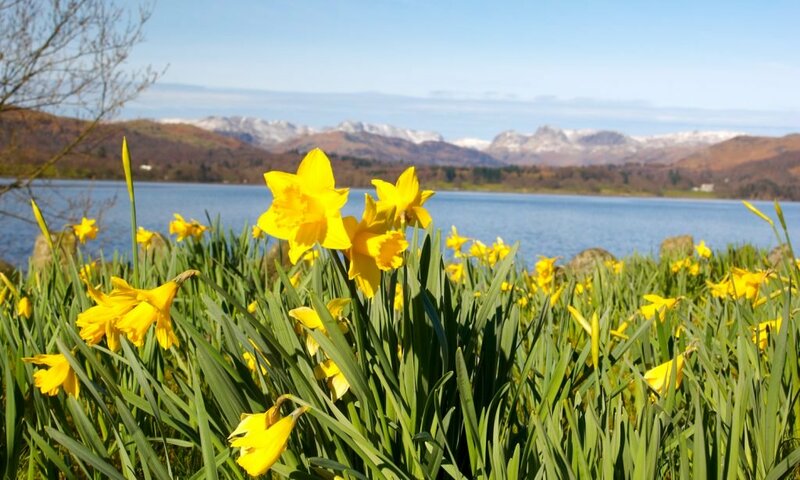 Come to our Keswick, Ambleside or Windermere offices for a coffee and we’ll share more of our ‘golden’ knowledge, and look forward to welcoming your guests to the region of ‘golden daffodils’. ← Fancy a weekend in the Lake District World Heritage site?